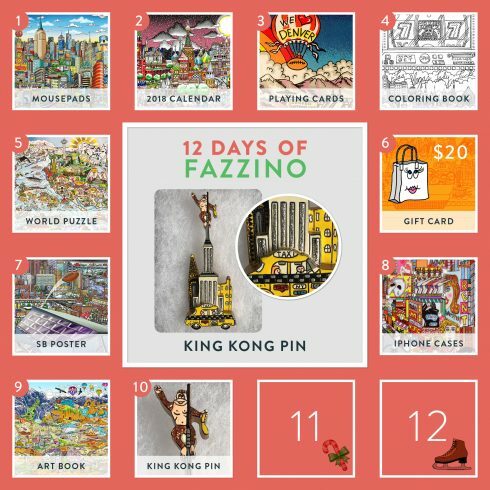 On the Third Day of Fazzino, we offer 20% off a NYC King Kong Collectors Pin! 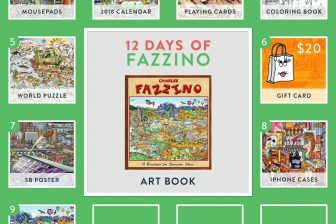 Each pin measures approximately 2″ x 4″, and comes in a beautiful display gift box. We’re giving one of these pins away for FREE. 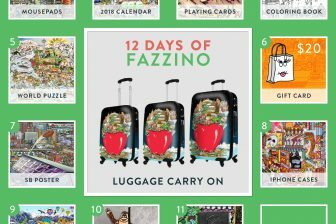 Just answer our holiday question of the day by midnight tonight in the comments below or on any of Fazzino’s social profiles (Facebook, Twitter or Instagram)! 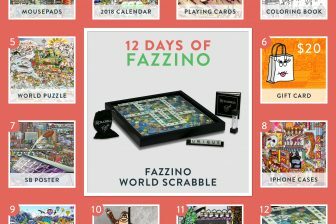 You’ll have the chance to be our randomly selected winner.